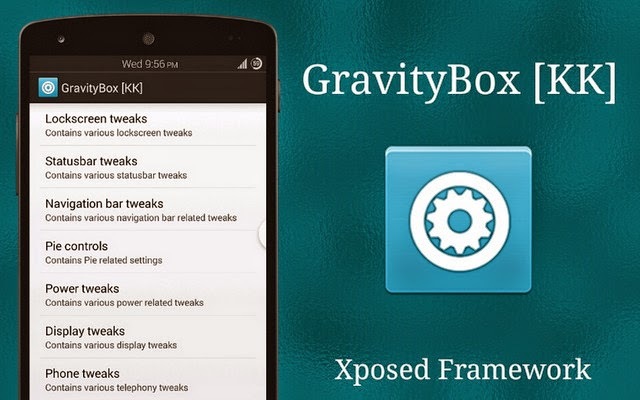 GravityBox is a module which primary goal is to provide the users of AOSP devices with a tweak box to turn their vanilla AOSP ROM into custom ROM packed with additional features and tweaks without need to flash anything. Change preferences on-the-fly without rebooting. Originally, this module was designed for MTK6589 devices which lack custom ROMs built from source due to MediaTek closed-source policy. Later on, it was adjusted to support other (non-MTK) devices running vanilla or close-to-vanilla AOSP ROMs. This version is fully unlocked with all premium features, Enjoy! developer rovo89 which, briefly, provides interface for injecting code into any app, including system services allowing modifications of applications and system services at run-time. 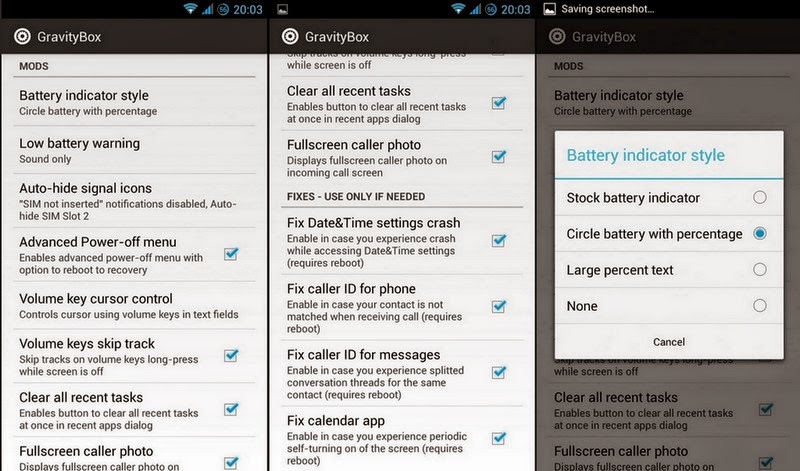 One of the biggest advantages of GravityBox is that it is not bound to any specific device. Actually, it should run on any device having vanilla Android 4.4 (ROM close enough to AOSP). This project wouldn't be possible without rovo's Xposed framework, so huge kudos to him.